Imaginarium Cakes, a bakery in Wellington, New Zealand, put together these amazing themed cupcakes in celebration of The Hobbit, which was filmed on location in New Zealand. They feature Bilbo, Gandalf, Thorin, and his company of Dwarfs. 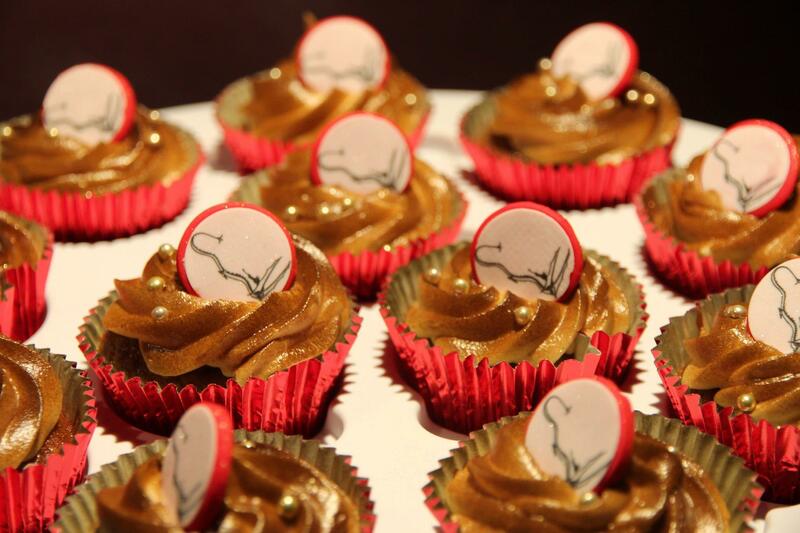 Imaginarium also put together “dragon scorched” cupcakes for a separate event, with Smaug atop his golden treasure. Guests had the choice of carrot cake with maple cream cheese icing or vanilla cake with lime buttercream. The “scorching” was done with an airbrush in brown and black, and a shimmer of gold was dusted on after. Give Imaginarium Cakes’ facebook page some love here. Dori Cupcake. I must have looked at Dori a dozen times before I notice the ornament on his beard. Dwalin Cupcake. Be sure to notice the tattoos on Dwalin’s head. Gloin Cupcake. The hair and beads on Gloin are amazing. Bifur Cupcake. The multi-colored hair is terrific. Notice the small ax in Bifur’s head. Imaginarium Cakes also made this awesome Gollum Cupcake. You are quite welcome! Thank you for stopping by!